← Review Before Flight .com is here! This is the reality of flight instruction at the vast majority of flight schools but it doesn’t have to be! We avoid this type of “less-than-desirable” experience at KING Aviation-Mansfield by booking 2-hour flight lessons. By allowing 2-hours, there is ample time for an approximately 1-hour flight with a proper preflight inspection and thorough pre- and post-flight briefings. We have found that this system works well and prevents undue pressure on the flight instructor to rush through the end of lessons to prevent getting too far behind. Student pilots or certificated pilots flying with a CFI should strive to maximize the value of each learning activity, and a thorough post-flight debriefing is a vital part of this. Every flight instructor wants their students to do well and achieve their goals. The more prepared for each lesson that a student pilot is, the more productive that lesson becomes. Thus, a solid post-flight discussion arms the student with a course of action that will propel them towards success during their next flight lesson! Essentially, with a thorough post-flight discussion the ceiling on how AWESOME a student can do next time can be gets higher and higher. -What did we just do? -How does it move your training forward and help you reach your goals? Ensure that your instructor explains what you just did. What was good and what was sub-par about it? How can you improve, literally what actually has to happen, this will allow you to prepare for future lessons. If you did a great job with something, what can you do to maintain that level of excellence? If you didn’t do so great, what can you do to improve? It is vitally important to be able to effectively reflect on each lesson and what was learned. One of the great things about taking a flight lesson on the weekend is that for the ENTIRE week until your next flight lesson you can reflect constantly on how COOL it was to go flying. You can think about the incredible views, the excitement you felt when you “greased” the landing or maybe the accomplishment of visiting a new airport. But, you should also capitalize on all of this time between lessons to reflect on the feedback you received during and after the lesson. If you spend the time between your flights thinking about more than just the view then you are preparing for success! But, the view is really cool too, of course! Visualization goes a long way toward success with muscle-memory type tasks, including flying! If you are able to spend some time reflecting on how to maintain your excellence of specific maneuvers and how to improve with others, you will be much better off when it comes time for your next lesson! Thinking through these maneuvers will give you mental practice with what you should be shooting for and looking at, this will undoubtedly set you up for success during you next flight lesson! It is NOT enough to simply understand what happened during your flight lesson. You should also understand why you did it and how it relates to what you have already completed during your training. For example, slow flight is learned before landings… Since landing is a slow flight maneuver this makes sense. A student that is good with slow flight is much more likely to succeed with mastering landings than a student that is not as good with slow flight. Since this (70 knots) is EXACTLY how each approach is going to feel, it is vitally important that students feel comfortable in this scenario. “Old school” instructors will say that slow flight is only MCA. Don’t get me wrong MCA is extremely important, but a confident student that understands the value in my 70 knot exercise is much more likely to be successful in flying stabilized approaches and traffic patterns. After my students spend time maneuvering the aircraft at 70 knots and we return to the airport, during the approach I explain the value in what we just did, illustrating how we slow to 70 knots for the approach. A recap during the post flight discussion ties what we did with why we did it and this allows the student to capture the real value of the flight training activity. Lastly, it is important for you to understand how completing each flight lesson has moved you closer to your flight training goals, in other words what was the benefit of completing this lesson? (See my previous post on PROPER flight training goals HERE) Everything done during flight training should be aligned with moving you closer to your training goals. Make sure that your flight instructor explains how you can use the skills and knowledge learned during each lesson in the future. 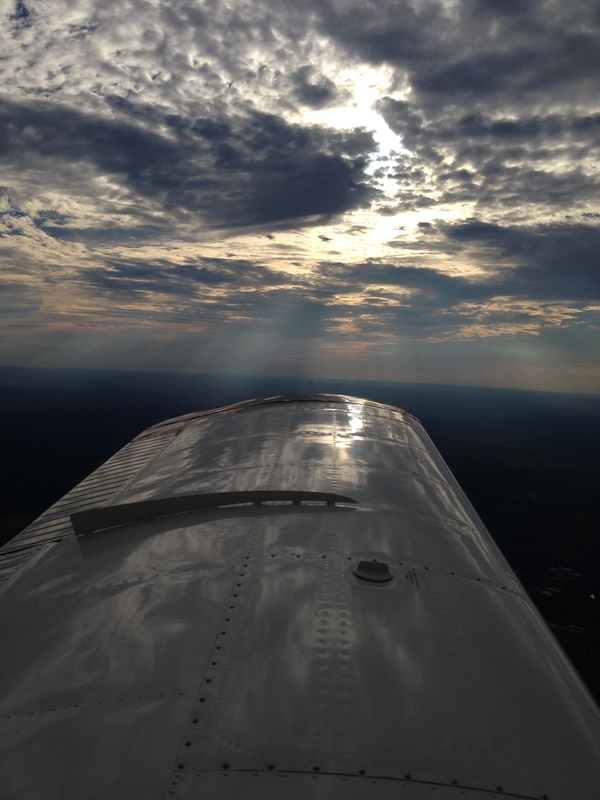 Additionally, make sure you know how each flight lesson has helped you get you closer to your goals! Posted in For Flight Instructors, For Student Pilots, Make Your Training Easier! This altricial is right on! The debrief is all to often too brief! As flight instructor we must set the pace for the training and that begins with the first lesson. Helping a flight student have realistic goals and understand their capabilities is key early on in the training process.